What will YOU do at Camp Courage? We are excited to spend our camp event in a safe and fun outdoor environment for 5 fun packed days! Click this link to see information about this location. Overnight Camp is an adventure for ages 8-15. Memorable moments, character and leadership are maximized through small group teams. Imagine fireside chats, kayaking peacefully down the creek, smore's, new friends and so much more! 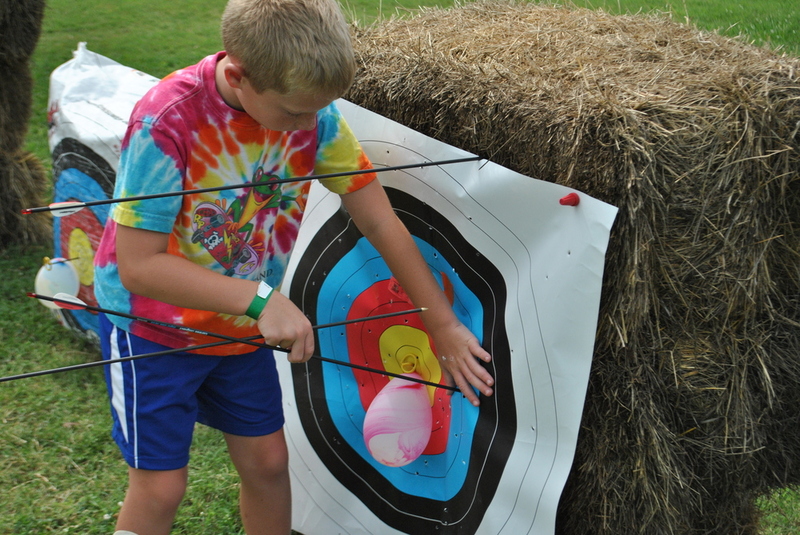 At Camp Quaker Haven we bring all Camp Courage certified, background-checked and trained staff. We create an unforgettable week of traditional overnight camp. Campers are in small groups that compete in crazy games all week long for points and for the win! Through experiential-based learning we exist to equip campers & families with Biblical truths to overcome life's challenges with courage and confidence. This includes a variety of fun team building activities designed to foster individual strengths. Objectives are communication, problem solving, trust, teamwork, self-esteem and decision making. Basically, we use purposeful games & inventive activities combined with intentional conversation to help a young person recognize their personal strengths and challenges and how God can help them with both. Joshua 1:9 Be strong and courageous for the Lord your God is with you wherever you go. We are excited to spend our one week camp event in a safe and fun outdoor environment. "...a week where you get to get away from everything." "After you get back from camp your mindset is completely changed. You want to come back and you want to make a difference in other people's lives."